Bombay High Court recently acquitted an Accused who challenged his conviction under Section 498A of Indian Penal Code. Originally he was charged with the Offences under Sections 306 IPC and 498A. He has been sentenced to suffer rigorous imprisonment for three years and to pay fine of Rs.2000/- for S.498A. He was acquitted of offence under Section 306 of IPC. The Calcutta High Court held that an Association has a clear right to maintain this writ application on behalf of its members. Justice I.P. Mukerji referring to various Apex Court decisions, also observed that body corporate may not only sue or be sued for violation of Article 19 but it may also sue for violation of Article 14 or any other law. The High Court observed that the demands of High Court employees seeking implementation of recommendations of the Special Pay Commission, is ‘reasonable’ and ‘justified’. 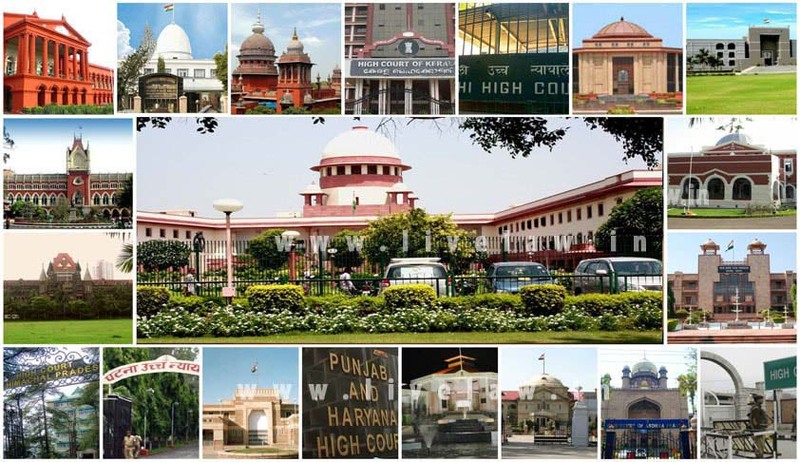 A Division Bench of Delhi High Court adjourned Advocate SurenUppal’s Petition seeking a court-monitored investigation into alleged illegal phone tapping of high-profile people including some union ministers allegedly by Essar. Gujarat High Court recently held that the contention that when a signed blank cheque leaf is handed over, it can never be filled up and that if it is filled up it Would amount to a material alteration within the meaning of using Section 87 of the N.I. Act, does not stand to rhyme or reason. The High Court of Jharkhand, initiated suo motu proceedings against the state police machinery and others concerned, into an incident pertaining to police atrocity committed on a minor in the guise of an alleged interrogation. High Court of Karnataka issued notice to Union Law Minister, Chief Minister and 8 other legislators for continuing to draw salary or remuneration without surrendering their ‘sanad’ (licence) of practice to the Karnataka State Bar Council. The High Court of Kerala, ruled that an accused who had been granted pre arrest bail, cannot be remanded to judicial custody. The court further held that the bail thus obtained,shall remain in force unless the same is cancelled by the court which granted it or by a higher court. The High Court of Kerala on Friday, quashed the proceedings initiated by the Vigilance Court, Thrissur against Mr OommenChandy, former Chief Minister and Mr AryadanMuhammed, Minister for Power. The Madhya Pradesh High Court observed that, the mere filing of a charge sheet by the police does not justify the framing of charges by the Trial Court. The Madras High Court Bench recently dismissed a writ appeal, filed by a widow seeking compensation from the State government.The petitioner sought compensation for the death of her husband who committed suicide after killing one of their two children allegedly due to exorbitant fees demanded by a private school. A Division Bench of the Court, terming some officers of Employees Provident Fund Organization as ‘Heartless’, upheld a Single Bench’s direction to pay pension to the father of a deceased employee. The High Court recently held that it is not mandatory to disclose the Caste of applicant in Application forms. A Division Bench of the High Court bench, refused to grant permission to a father to appear as party in person and plead on behalf of his children. In R.Gowrishankar vs. The Commissioner of Service Tax, the Court held that Appellate authorities cannot be asked to condone the delay, beyond the extended period of limitation. The High Court observed that lawyers owed a duty to the court and to administration of justice.